The Parkersburg nursing home abuse & neglect attorneys of Nursing Home Law Center LLC recognize the growing need to defend the rights of our elderly as the frequency of nursing home abuse continues to rise and many of Parkersburg’s citizens age to the age of retirement and beyond. One of the best manners we can address the epidemic of abuse is through educating the public and providing information that will help you avoid placing your loved ones in facilities that have a history of rendering subpar care. We’ve generated the following list both to let you know which concerns are more common for your area and which nursing homes you should steer clear of if you find yourself searching for a home for a loved one. Medicare releases information every month on all nursing homes in Parkersburg, West Virginia based on the data gathered through surveys, investigations and inspections. According to the federal agency, investigators found serious violations and deficiencies at six (50%) of the twelve Parkersburg nursing facilities that led to resident injuries. If your loved one was harmed, injured, mistreated, abused or died unexpectedly from neglect while living at a nursing home in West Virginia, your family has rights to ensure justice. We urge you to contact the Parkersburg nursing home abuse & neglect attorneys at Nursing Home Law Center (800-926-7565) today. Schedule a free case evaluation and let us discuss your legal options for obtaining monetary recovery through a lawsuit or compensation claim. The city of Parkersburg is located where the Ohio and Little Kanawha rivers meet, making it a historic hub for the railroad after a crossing was built over the Ohio River and into the state of Ohio. When it was built, the Parkersburg Bridge was the largest railroad bridge in the world and the city has had a long standing history with the CSX Railroad since. It is also home to a disproportionate number of aging citizens. Seniors represent 18% of Parkersburg’s population, which is far more than the national average. With many more residents preparing to retire, it is clear why the city and towns nearby need access to quality nursing care. Seniors who desire access to social programs, transportation assistance and nutrition programs can take advantage of the numerous services offered through the Wood County Senior Citizens Association. For more information, you can visit http://www.wcscwv.org/. Our Parkersburg nursing injury lawyers obtained the following ratings and information from Medicare’s nursing home compare tool and have chosen to focus on the worst rated facilities for your benefit. If you would like more information about any facility that is not listed below, you can use the nursing home compare tool to see how multiple homes compare with one another at https://www.medicare.gov/nursinghomecompare. Primary concerns: An atrocious health inspection record has lowered this facility’s overall score to a single star. Health and safety issues can include poor hygienic measures, improper preparation of food, the present of environmental hazards or poor disease prevention measures. Patients at this facility are more likely to develop infections or be injured when encountering hazards. Primary concerns: Many for profit nursing chains are saving money by eliminating staff members or not investing in adequate training programs. This results in lowered quality of care and increases the pressure on remaining staff members. With a staff quality rating of only one star, it is not surprising that this facility is plagued with numerous health inspection deficiencies. Primary concerns: This facility has a mediocre staff and could make improvements to the measures taken to address individual patients’ needs and concerns. Its greatest demerit, however, is a poor health inspection history, which means that patients are at a greater risk of being harmed due to environmental hazards. Primary concerns: This facility has failed severely in every area of assessment. It is our belief that the root of many problems at a nursing home is the quality of its staff. This facility is greatly understaffed and received only one star for its quality measures and health inspection history. Primary concerns: A near complete lack of quality measures raises the largest red flag for this facility, but it also has a concerning health inspection history and averagely rated staff. Primary concerns: Despite excellent quality measures and a decent staff, this facility is plagued with health and sanitation violations. Until improvements are made to its health and safety practices, this facility remains one to avoid. 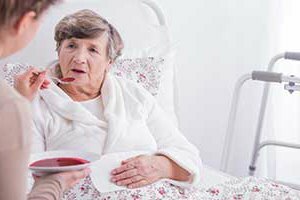 Our Parkersburg nursing injury attorneys recognize that nursing home staff members have good intentions in most of the cases we see, but the facility’s resources or policies may result in abuse, neglect or negligence. It is the responsibility of nursing homes to provide the care that they promise and to take reasonable steps to ensure that every patient is safe and happy. One of the most common questions we receive is how to determine whether subpar treatment can be classified as abuse and when to seek legal representation. If you notice that your loved one experiences a sudden or rapid change in mood, appearance and health, it is completely reasonable for you to demand answers and conduct an investigation. Symptoms to be aware of include sudden weight loss, bouts of anger or depression, physical signs of abuse or neglect, the development of bedsores or hospitalization due to infection or medication errors. If you have any doubts at all about the quality of care your loved one is receiving, we will be happy to review the details of your case and let you know if legal action is warranted. Nursing Home Law Center LLC is a national personal injury law firm dedicated to protecting the rights of injured clients everywhere. Our Parkersburg nursing home abuse attorneys have special experience working with cases like yours and a track record of successful recoveries on behalf of our clients. Contact us today to arrange your risk free consultation with one of our award winning attorneys so that we can review all of your legal options with you and let you know more about your rights. If we are unable to secure compensation on your behalf, you are assured that our services will cost you nothing.